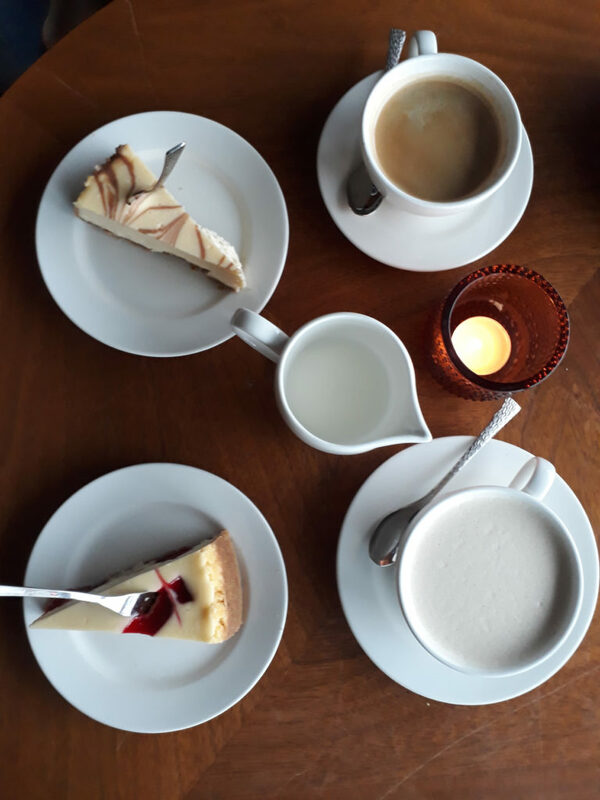 Welcome back to my project of slowly reviewing all the coffee and cakes in Tallinn with my friend Greta, this week: a large and inviting space overlooking Freedom Square. Review: It was a cold and snowy day in Tallinn and we got a lovely front row seat to it. 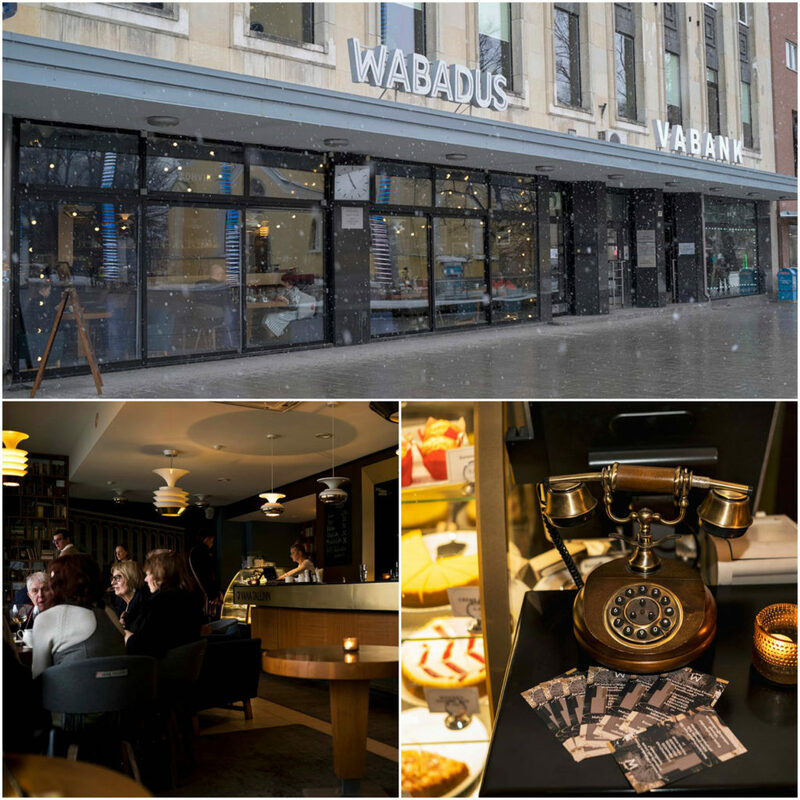 Wabadus is in possibly the best location for a cafe, right on Freedom Square. It can be reached by nearly all the buses and the trams and people walking around Old Town on foot. It’s very hard to miss and while you’d think it’d just be a tourist trap it’s good atmosphere and food means it’s almost always populated by locals in my experience. The space is actually a kind of odd one as there is a very normal space downstairs and a giant room upstairs (that I have never seen but I know it holds over 100 people). The downstairs feels very much like the lobby of a hotel. Comfortable but not too inviting. All of the tables are smaller than you think they would be and the seats are comfortable but covered in muted grey cloth so as never feel too inviting. The music is light and contemporary, a little bit alt and a little bit jazzy. The service here was probably what people expect from Estonian establishments. The waitress looked unamused by our existence but serviced us efficiently, if slowly. She also curiously stuck the forks inside the cake which I found amusing but odd. She cleaned off a table for us only after we sat down and waited, she brought coffee over to us but only because she realized we hadn’t seen her finish making them – which is fine by me but I think a lot of people might label this as “cold” or “poor” service. 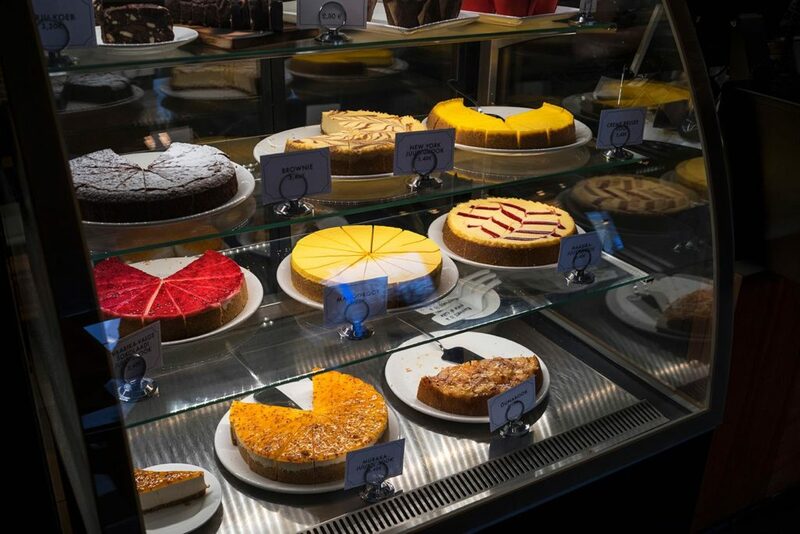 When you’re confronted with the choice of so many cheesecakes, it only makes sense to get the cheesecake. Greta got the New York cheesecake. I don’t know what makes it “New York”, certainly none of these cheesecakes really reminded me of the ones back home. They were denser than expected but still delightful to eat. The New York one had a swirl of..something? Caramel or vanilla or…who knows but it didn’t really affect the flavor much. 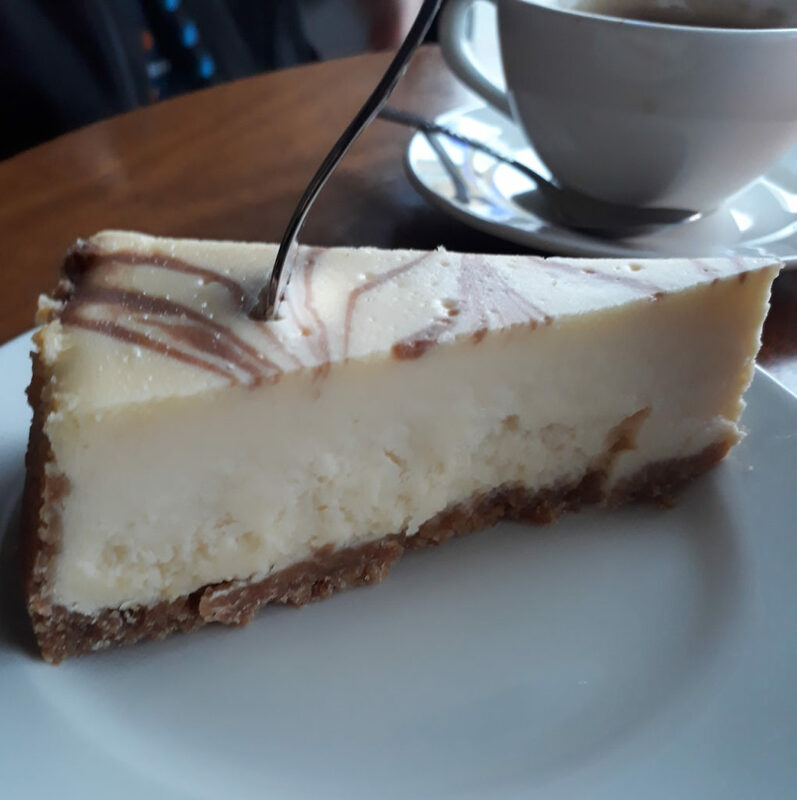 A solid cheesecake with a brittle pie crust that was sweet to off-set the milkiness of the filling. I opted for a little more glamor in my cheesecake and went with the strawberry flavor. A delightfully and bright red ripple running through it that was something just between a jam and a proper jelly. 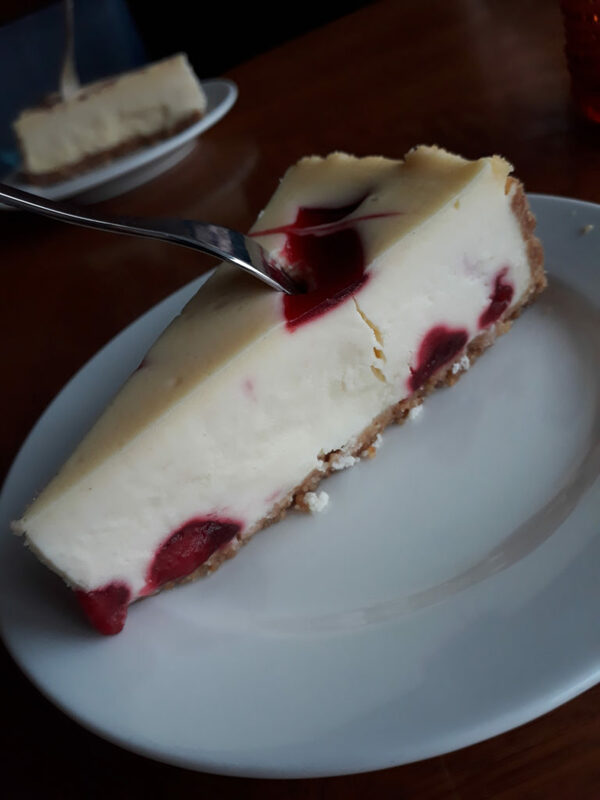 This cheesecake reminded me of the Jell-O No Bake Cheesecake. Not in a bad way, in a particular way. The consistency of the cake is absolutely flawless to the degree that you feel like a machine made it (which is possible) and the strawberry swirl has a strawberry flavor but more so, you get the sweetness of sugar and the tang of strawberry which only gives you a hint of it instead of a more satisfying version which might have hidden strawberry pieces. These were both really satisfying and I’d try all the flavors of cheesecake if I had the time. Greta also ate a brownie here (sorry, no picture!) but we both agreed it was just not that good. It was too dense and too moist at the same time with a heavy, almost flour-like taste. The drinks were fine, standard fair in a cafe and they were served with as little fuss as possible which is nice if you’re not a person who likes flourishes in their daily coffee routine. Overall, this is a pretty decent place. I don’t think I’d ever go out of my way to eat there but it’s a very solid place where you know you’re going to get pretty good everything at a fair price. The location absolutely can’t be beat but not everything in life is about location, location, location. As always, some pictures are from the lovely Greta!